Uneven distribution of historic responsibility. The sofas and arm chairs in the sitting room look so inviting if it were not for the thick plastic covers which insure that the upholstery retains its "new" look. The seder goes better than expected. There are words of Torah, beginning with an invitation to the hungry to join with them in the meal, despite the fact that there is not a needy person within 50 miles. A lively discussion develops on the characters of the "four sons." The afikomen (ritual dessert matza) is "stolen" by the youngest daughter who, for its return, has succeeded in extorting from abba (father) a vacation in Hawaii. Birkat Hamazon (grace after meal) is said, as is the second part of Hallel. Chad Gadya puts the final touch on the mitzvot of the night. Now, just as HaShem destroys the "Angel of Death" in the song, father jumps up — and gathering the family in a circle, they all break out in a frenzy of song — L'shana ha’ba’a Be’Yerushalayim — "next year in Jerusalem." Again, and again around the table L'shana ha’ba’a Be’Yerushalayim is sounded. Louder and louder until their song merges with the same melody resounding from the neighbors’ homes, cutting a path into the highest realms of heaven. "What do you mean next year in Yerushalayim? What about the table, the chandelier, the deep carpet, the Rosenthal china, the garden! How can we leave all this?" Father approaches Mama and taking her hand while gently dabbing her tears away, in a voice full of compassion, says to his beloved wife, "Darling, don’t cry, IT’S ONLY A SONG!" Yossi knew the hill well; he had been there several times in the past year. It was sarcastically called a "bunker," but in reality, it was nothing more than a foxhole large enough for four soldiers. Their assignment was to track terrorist movements and destroy them on contact. It was tolerable except when it rained, which caused the bottom of the hole to be soggy and muddy. But today, the four hoped that it would rain, even though chances were small since it was late in the season. On the 14th of every Hebrew month when the moon is full, crossing into enemy territory presents a greater danger; so, rain would be a mixed blessing. At 5:00 PM, they were given the necessary arms and ammunition. In addition, the army rabbinate provided them with 4 plastic containers - each holding 3 matzot and all the ingredients necessary for a Seder - as well as 4 plastic bottles of wine, sufficient for 4 cups, and of course four Haggadot (ritual text). At 6:00 PM, they waited at the fence for the electricity to be turned off in order to cross into hostile territory. Yossi held a map of the minefield they would have to cross. "It was so strange," Yossi thought. "This is the area assigned to the tribe of Naftali, and we have to enter it crawling on our stomachs." Each soldier was assigned a direction. Talking was forbidden. If any murderers were sighted, a light tap on the shoulder would bring them all to the proper direction. After settling in, they prayed ma’ariv and began the Seder. It was finished within a half hour, and they were happy that the 4 cups of "wine" had no detrimental effect on their senses. 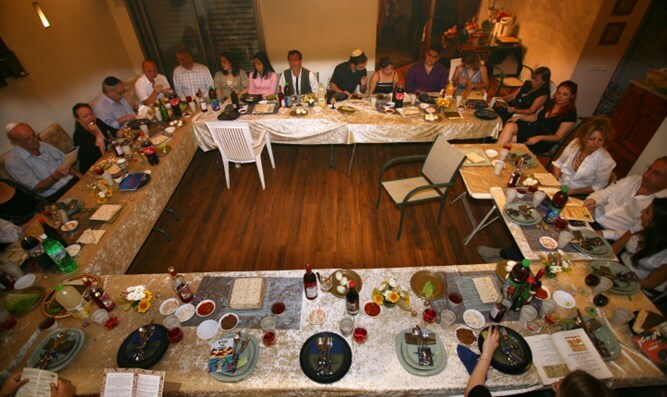 That night, Yossi’s angel and the angels of his friends were draped in flowing, golden robes while sharing the heavenly Seder with the righteous of all the generations. Yossi’s cousins? 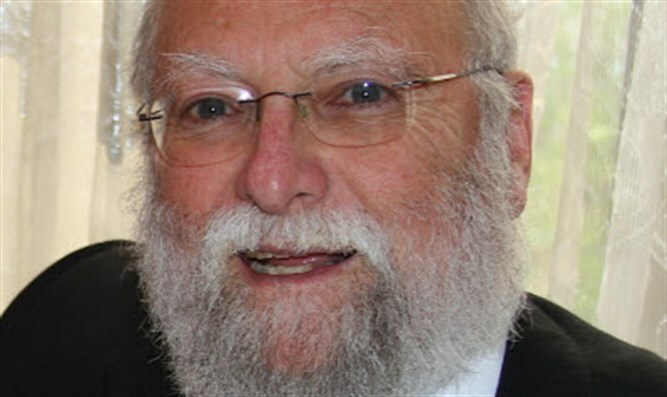 Their angels were having their Seder in an area separated from Yossi’s angels by a mechitza (barrier) with the words "chutz la’shamayim" (out of heaven) engraved on it.